There’s nothing more entertaining than watching in real-time as an elite member of the corrupt media completely loses his cool over something he has no control over. And more importantly, something that might derail all the wicked work he’s done to drag a failed president over the reelection finish line. 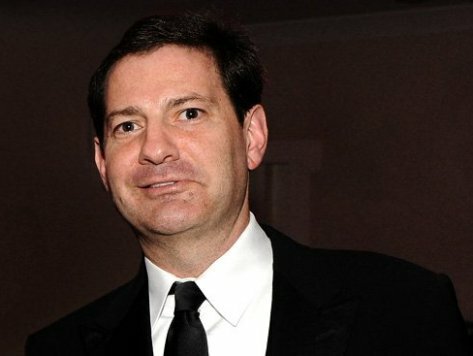 Mark Halperin one of the leaders of what he calls “The Gang of 500” — or those who control the media. He’s the guy who yucks it up with Joe Scarborough every morning and who sits on political stories so he can later release them in books like “Game Change” that trash Republicans with legions of unnamed sources. Halperin is as elite a mainstream media puppet master as there is; a narrative creator and driver that many minions in the media look to for the nod that okays this or that. And naturally, that nod almost always has to do with stories damaging to Republicans and/or helpful to Democrats. Now, you would think a self-described newsman and political junkie would be excited over this. After all, The Narrative about Romney losing the election and all the pre-game debate stuff is boring. Also, as a journalist, you would think new information about a sitting president would be exciting! But the same Mark Halperin who helped drive Romney’s “47 percent video” into the ground isn’t happy at all about this video. In fact, he’s furious. Somewhere Phil Singer and Mark Penn are fascinated and repulsed. Question for Gov Sununu: why is what VP said a bigger deal than Mitt saying he likes to fire people or he doesn’t care about poor people? In case I don’t called on, Gov Sununu, answer is #freakshow. Was this “gaffe” really required for Boston to make case middle class hurts? Aww, the poor widdle mainstream media is having a bad day. Which in turn means a good day for America.